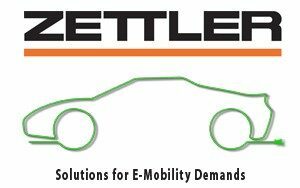 Zettler Group E-mobility Solutions | American Zettler, Inc.
Aliso Viejo, CA – November 8th, 2016 – The Zettler Group published a new product PDF outlining its ongoing development work and product offerings in electromechanical relays for e-mobility applications. Zettler’s early pioneering expertise in relays for solar inverters has provided the technical foundation for the creation of next-generation relays in the e-mobility/electric vehicle charging space. The E-mobility PDF was recently also prominently featured in the industry-leading AltEnergyMagazine publication. Taking into account both IEC61851 and SAE J1772, Zettler’s relays meet the requirements of most global markets. Integrating proprietary technology, our relays can handle switching loads of up to 80A of AC voltage (DC load relays are coming soon) covering SAE level 1 and 2 chargers and IEC mode 1, 2, and 3 chargers. Many relays feature a lower-rated normally closed contact for monitoring circuits, too. For in-cable and in-box chargers, Zettler has a solution for almost every need. In addition to American Zettler’s traditional core of relay products, the E-mobility guide also illustrates current sensing solutions from Zettler Magnetics and LCDs from AZ Displays, Zettler Group’s display division. For more information about the broad range of products Zettler offers for the E-mobility market, please visit our newly launched page at https://www.zettlerelectricvehiclerelays.com. For pricing or additional technical information, call 949-831-5000 or email us at sales@azettler.com. Headquartered in Aliso Viejo, Calif., American Zettler, Inc. produces over fifty different types of relays to meet the many requirements of commercial and industrial applications. Because of their high reliability, American Zettler relays are used in a wide range of demanding applications including: HVAC/R; telecommunication and security systems; solar; electric vehicle charging; home appliances, lighting; metering; and industrial controls. Additionally, American Zettler works closely with a computerized distribution network with stocking facilities in virtually every major industrial area in the world. More at www.azettler.com.